RE-liON supplies new technology to professionals in several fields of crisis management. The company has a long-standing tradition of going to great lengths to create user-friendly products that incorporate the latest in technology advances. RE-liON’s focus is on creating advanced training and mission preparation systems that are carefully designed for professionals in crisis management that risk their lives on a daily basis. For all their products the company also offers through-life support, making sure the products can be optimally utilised. All products shipped are the result of a team effort that combines many years of (academic) research & development. RE-liON’s team is a healthy mix of engineers with degrees in Computer Science, Industrial Engineering, Electronics Engineering and 3D Graphics Design. RE-liON is a privately owned development and manufacturing company, incorporated in 1999 with its roots at department of Human Machine Interaction of the University of Twente, The Netherlands. As a young company, they provided a wide set of products and services including medical simulators, architectural and entertainment visualisations, and driving simulators supporting multiple thousands of students per year spread over a numbers of different countries. 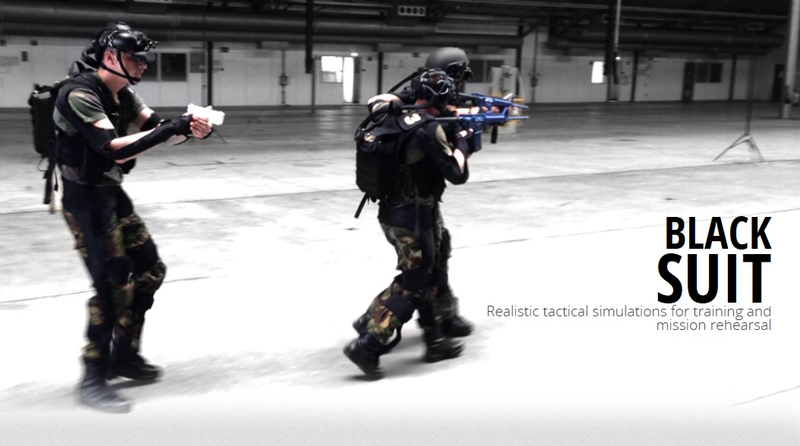 RE-liON BLACKSUIT is a virtual simulation system for realistic team training and mission rehearsal. This offers substantial benefits live simulation lacks: Objective recording of all actions during training, almost infinite variety in training and mission environments, Controllable role play and all that culturally correct with no overhead(s) in planning and logistics. • enable users to execute a final rehearsal in any replicated mission environment. The chance on success of the next mission is significantly increased by solid training, planning & mission rehearsal. But training time is limited, physical limitations prevent training of all possible scenarios, current maps are 2D and the operational area does not allow mission rehearsal. Introducing virtual simulation in your process removes current limitations. re-lion Builder is easy to learn & use, offers virtually unlimited varieties in typical terrain databases and enables mission planning & rehearsal in replicas of mission areas. Terrain databases created with Builder are correlated and can be published to re-lion SUIT, VBS2, Steel Beasts and OpenFlight. RE-liON is proud to present REDSUIT, a BLACKSUIT spinoff based on many years of experience gained with this military training system. 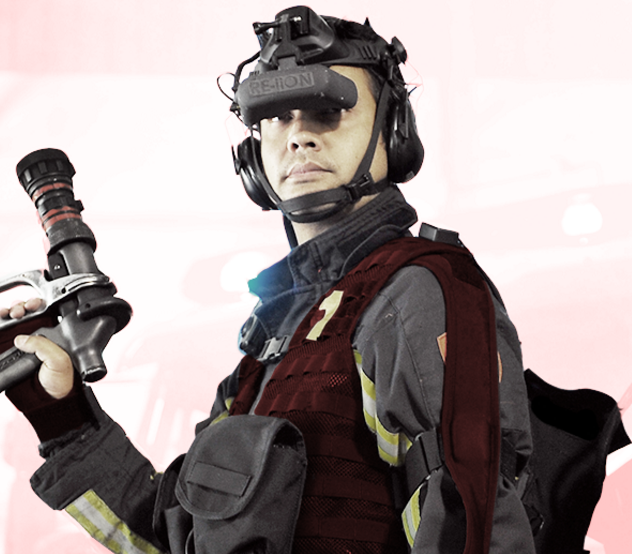 REDSUIT is a deployable team trainer to safely educate and train fire fighters in (nozzle) tactics, ventilation techniques and recognizing dangerous situations. REDSUIT is under development and maturing from concept to product.